This question was the theme of a lecture and discussion with Marc F. Plattner at IWM-Institute for Human Sciences, on 22nd April 2015, and also the Journal of Democracy’s Twenty-Fifth Anniversary Issue. The Journal of Democracy explors all aspects of the workings of democracy and the struggles of democratic movements. It concerns with tracking democracy’s advances and setbacks around the world, ‘taking the temperature’ of democracy since 25 years. 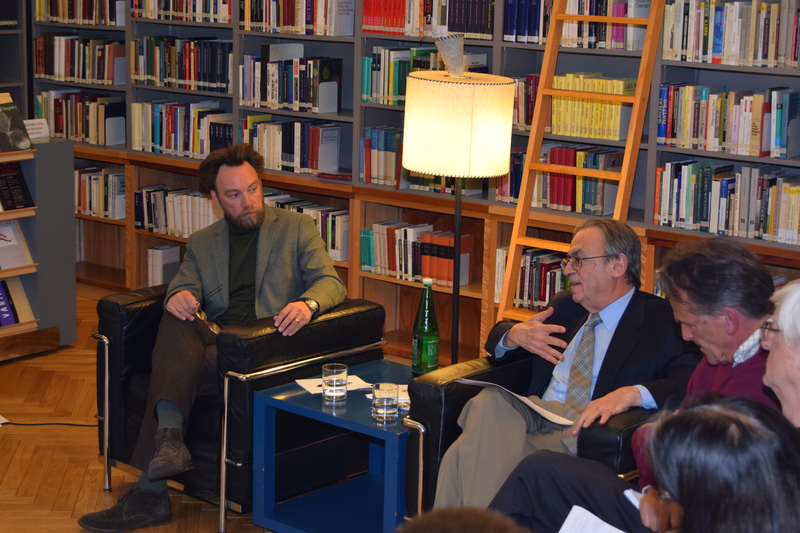 Marc F. Plattner gave an overview about the positions and opinions which were the main topics over this 25 years and demonstrated the process of democracy. Since the 1990 democracy was experiencing worldwide resurgence, it had ‘gained enormous ground’ with respect to ‘international legitimacy’. These trends seemed to be growing stronger at the turn of the century. Around 2005 the tone and optimism in democracy changed to a ‘darkening mood among supporters of democracy’. This was attributed to the travails of democracy-building in postinvasion Iraq and to Russia’s descent back into authoritarianism. By 2010 speaking of erosion of freedom began and the question of change and stagnation arose. Is democracy really in decline and why? Marc F. Plattner suggests to take a look on data which is measuring democracy and points out that data and indices show none, or only a very slight decline since 2000. This minor decline can’t be identified as Huntingtons ‘reverse waves’, but more as a ‘stagnation’ or conserving of prior gains. On the one hand Marc F. Plattner suggests to look for sources of democratic decline. There is a gap between talking and doing governance. The term ‘bad governance’ refers to lagging economic growth, poor public services, lack of personal security and pervasive corruption – which leads to disappointment of citizens by democracy. On the other hand democracy can be seen as a process and has many strengths, like capacity for self-correction and the respond to crises. Most important is, that citizens estimate the values of democracy, their individual rights and liberties. is founding coeditor of the Journal of Democracy, vice-president for research and studies at the National Endowment for Democracy (NED), and cochair of the Research Council of NED’s International Forum for Democratic Studies.